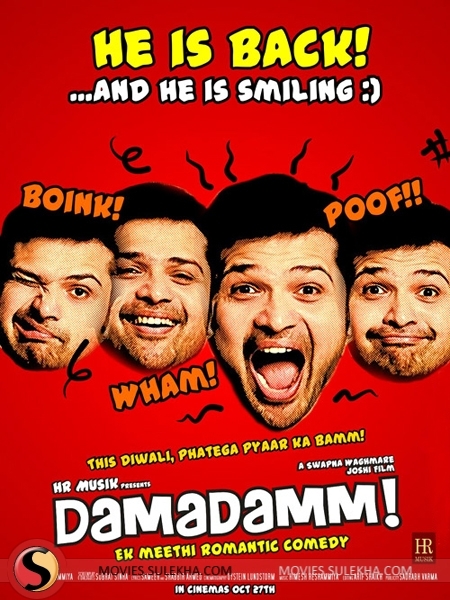 Damadamm is a romantic movie in which Sameer's life is perfect, but for his over-possessive and constantly nagging girl-friend. To add to it, he now has great friendship with his boss' sister. Prior to this, “Damadamm” was named as “Ishq Unplugged”. It is directed by Swapna Waghmare. This Comedy movie features Himesh Reshammiya as Sameer, Purbi Joshi as Shikha, Sonal Sehgal, Rajesh Khattar in the lead roles. 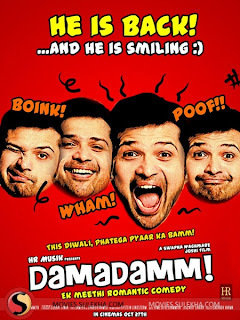 How will he manage the two, and come out with flying colours in this test of true love, while balancing his professional life perfectly well is the story of Damadamm. Going to release this Diwali on 27 Oct 2011.